AS I prepare for my next SwingLean marathon workout in a couple of weeks first I have to lead 1/2 marathon! Yes, my One Hour SwingLean is pretty much the equivalent to 1/2 SLM! The only difference is I will not be using my marathon 16kg kettlebell, I will be using a 12kg. But I still have to go the distance! Right now I have over 80 full length swing video workouts available to members of my Gumroad subscription group and here is part of the latest one. Technically it’s the first workout for May (each month I upload 4 new and original routines), but as I was in the middle of it I thought it would be a great start to my One Hour SwingLean Class this weekend in Deer Park, New York! If you are in the NY area come join me for a full hour of SwingLean this Saturday, April 22 at 10:00am, and you will also receive a PDF of the entire workout! 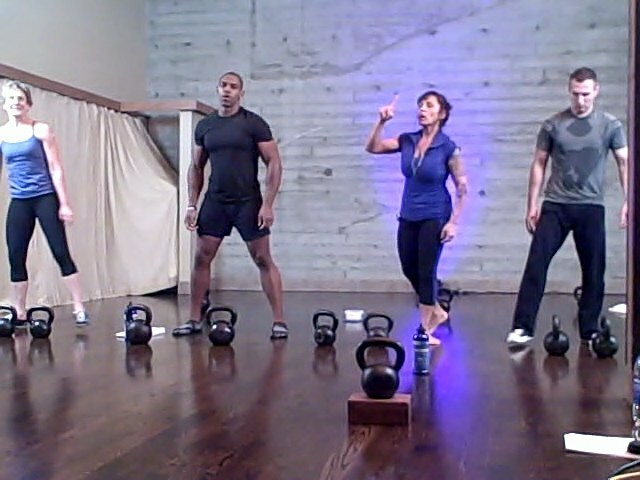 This month on Gumroad each workout will build from my very first kettlebell swing workout DVD, Give and Take! 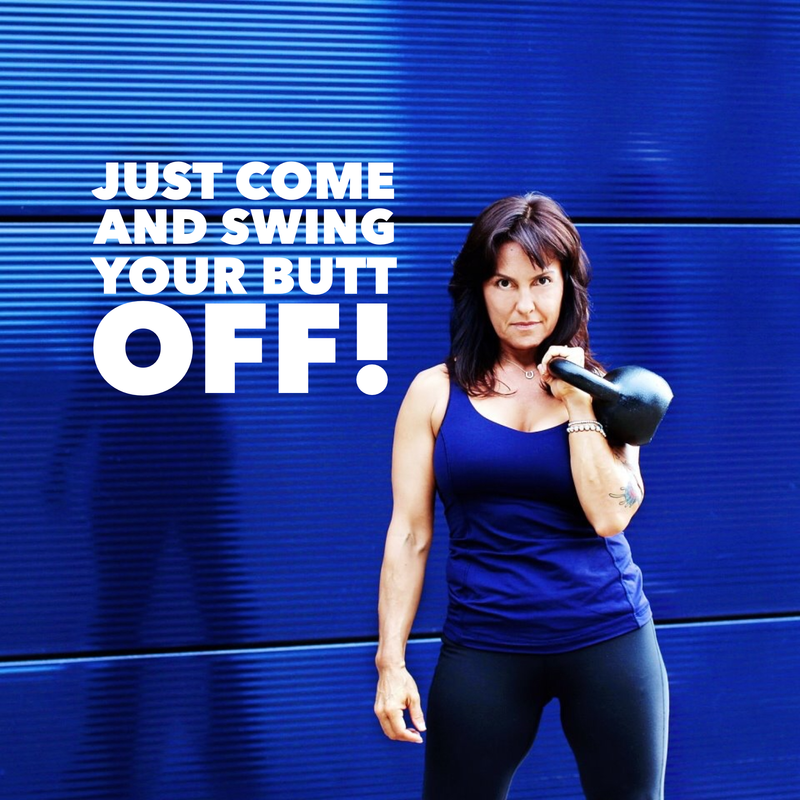 The great thing is I designed Give and Take as the ultimate scalable swing workout, to cater to all levels of skill and fitness/cardio conditioning making it perfect to share with a new group of kettlebellers. It gives me the opportunity to assess each individual as well as the group as a whole to make sure every person participating feels accomplished as well as challenged! This version of Give and Take has 6 rounds of double sets. The first set starts at the top of each minute, (in black bold type), the second set starts at the bottom of each minute (in blue type), and the option of adding in extra reps (red type)! The video demonstrates 6 minutes of a 36 minute workout, and you can easily double or triple the practice by giving all variations a go! Photo above was taken during the video shoot for Give and Take in 2010! 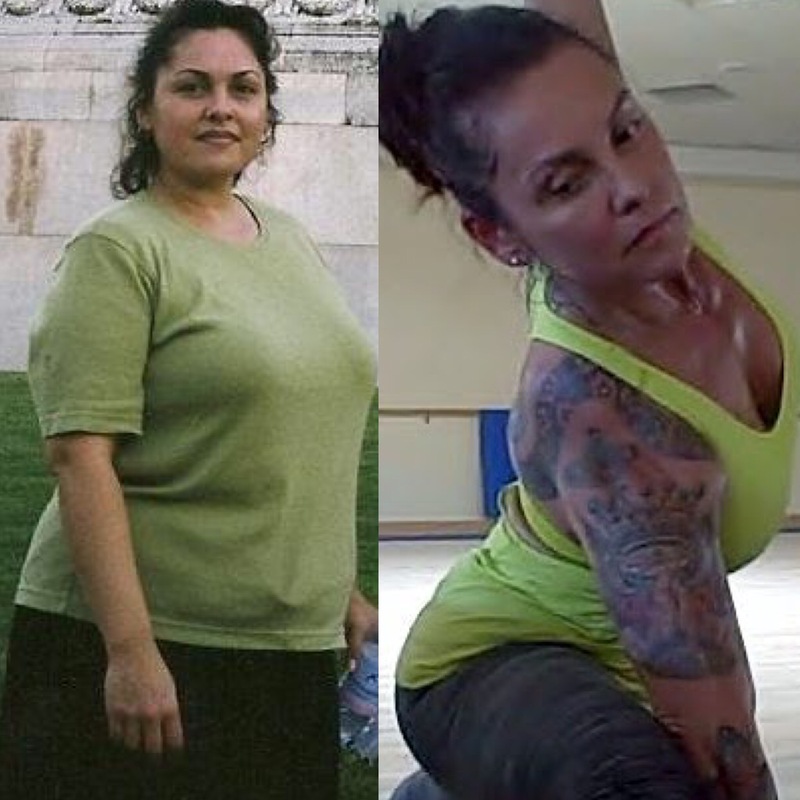 You can buy the DVD which has 3 versions of G T, or it is included as one of over 80 SwingLean workouts available to SwingLean Gumroad subscribers for $6.99 per month!